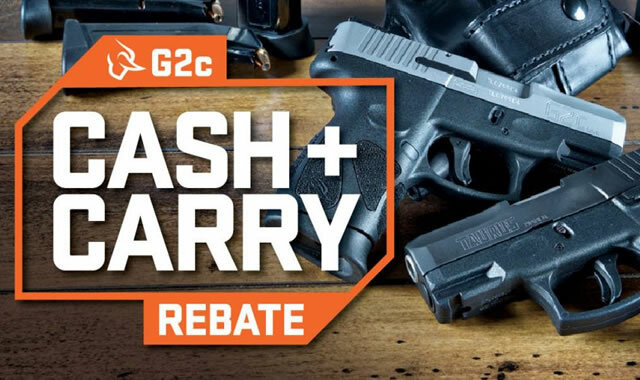 Receive up to a $30 rebate with the purchase of a new Taurus G2c Pistol. 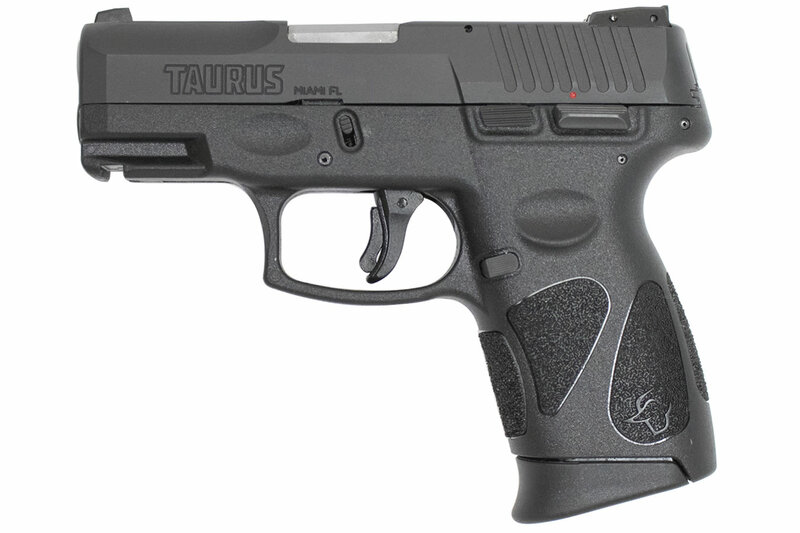 The G2C is an updated model of the PT-111 G2, one of Taurus' most popular semi-automatic handguns. A more durable finish has been added to the new & improved slide, which features a stamped version of the new Taurus logo. The G2C no longer includes the Taurus security key, as it has been removed. With its lightweight 22 oz. 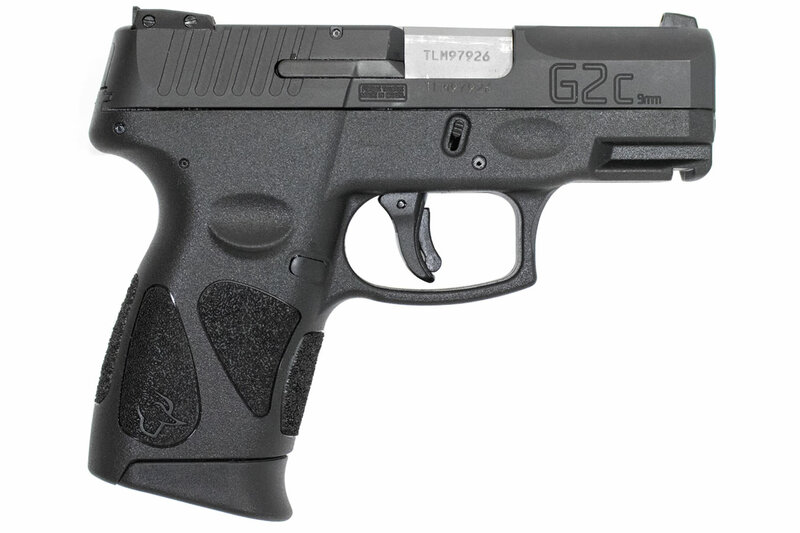 polymer frame, thin profile, and ramped 3.2 inch barrel, G2C from Taurus is the ideal concealed carry handgun. The G2C features an accessory rail, high-profile sights, an aggressive, textured grip and melted edges for added comfort and easy concealment. This little compact is a great gun. It has some weight to it, has 2x12 round magazines, and is fairly well balanced. The slide is a little firm but racking it isn't a problem. I prefer a little feedback personally. The trigger, while it looks odd, feels surprisingly comfortable and the grip is great for a larger hand. Picked mine up in Obetz and am very happy. My husband and I bought or first guns at the Obetz location. I chose this one, he chose the one with the stainless slide. I had done a lot of research and watched countless reviews so we knew these were what we wanted for our first guns. Took them to Virginia and broke them in down there, and just completed our CCW class/range time with them yesterday. Although we haven't put a ton of rounds through them they fire great, we have had no problems. Fit great in our hands and the slide racks pretty easily once you get used to it. Still trying to break in the springs on the magazines those suckers are FIRM, but overall happy with our purchase. We were helped by a guy named Val, who was awesome. If you're thinking about getting this gun do it. I don't think you'll regret it.